The Scarlett 18i8 is temporarily out of stock. Order today and Phantom48 will normally ship in about No business days. 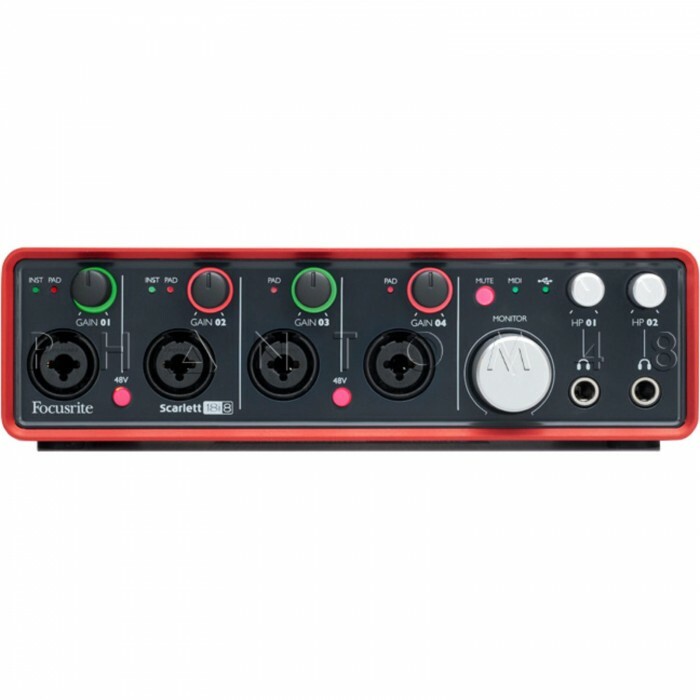 The first pair of 18i8’s four mic pres offer Mic/Line/Instrument on universal XLR/TRS connectors, while 3 and 4 offer Mic/Line capability on universal XLRs. All four are on the front panel and include pads and 48V phantom power. Four more line inputs are provided on TRS connectors. 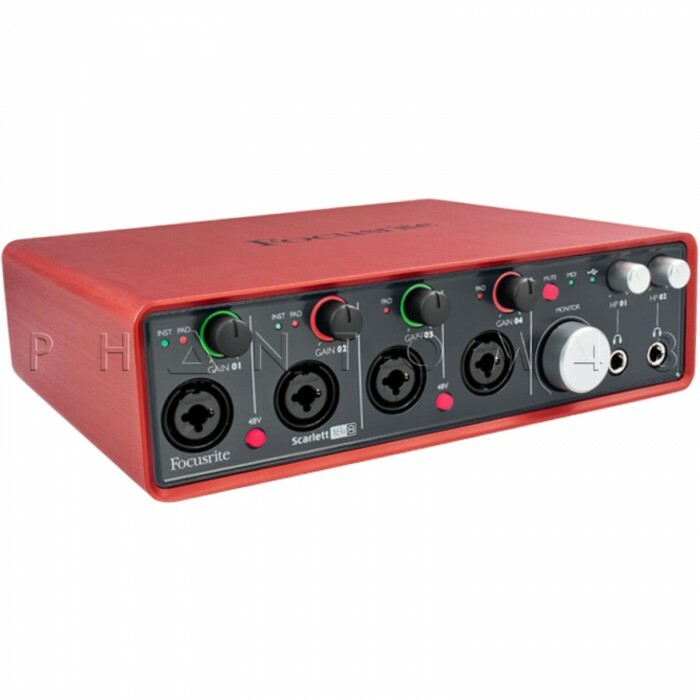 An ADAT optical digital connector provides eight additional digital inputs that can also be used with external mic preamps like Focusrite's OctoPre Mk II to increase the number of mic inputs the 18i8 can handle to 12. 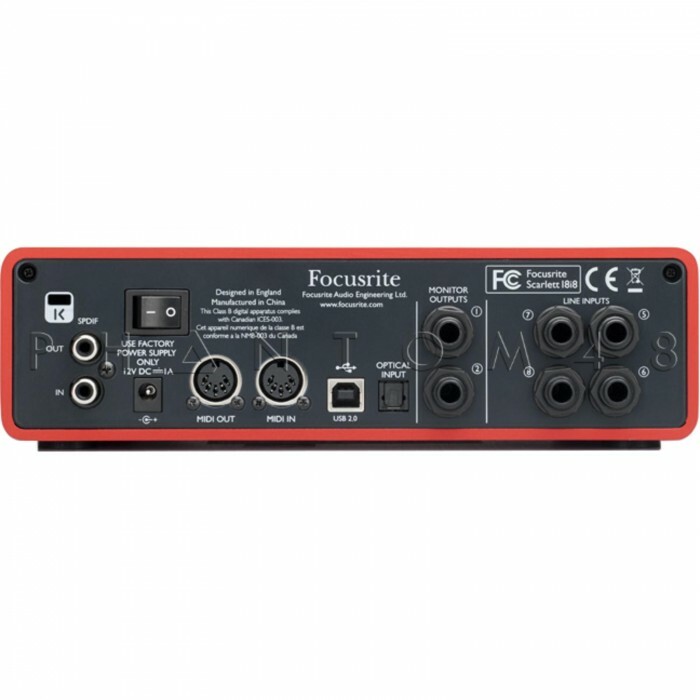 A stereo S/PDIF coaxial input is also included.